We could finally enjoy these in the comfort of our office! We had a blast at E3 Expo 2017, one of the world's largest video game conventions. But because of its popularity — there were over 68,000 attendees! — it was hard to have quality time with many of the new products. Luckily for us, Nyko, LucidSound, and Alienware were kind enough to send sample units so we could experience their new offerings in the peace and quiet of our office. 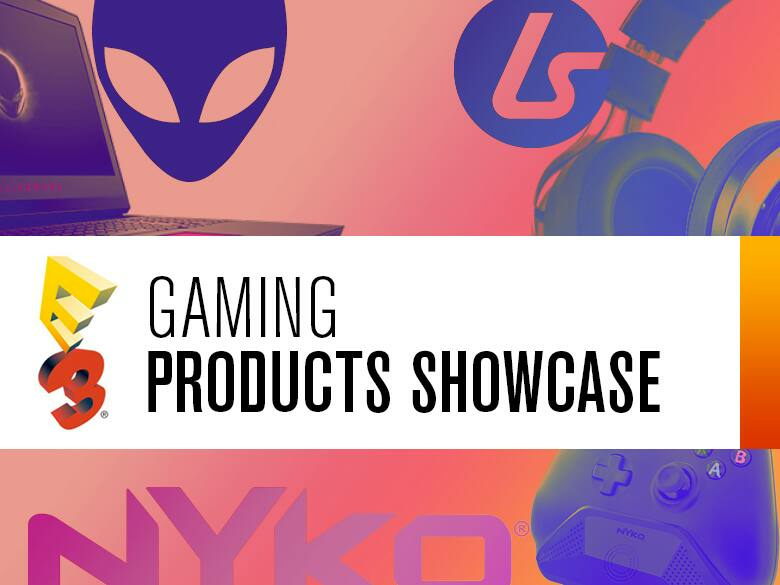 We'll be adding more products to the showcase as they become available — there are lots of upcoming releases this year! Keep reading for our hands-on impressions! 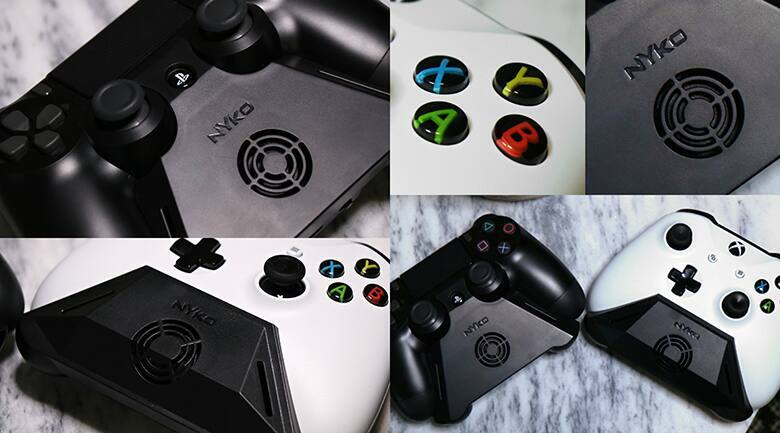 This cool peripheral from Nyko (pun intended) clips to the bottom of your Xbox One or PS4 controller to deliver precise airflow to both your hands (as well as above and below the controller), keeping you sweat-free during intense gaming sessions. It features a rechargeable battery, an on/off switch, and a low-vibration fan. The Intercooler Grip fits flush with the controller, but may get slightly in the way depending on how you prefer to hold the controller. When powered on, we found the sound of rushing air to be a bit loud, but not to the point where it was irritating. One thing to note when using the Intercooler Grip is that you will not be able to access the headphone connection at the bottom of the controller. Overall, it's a nice luxury item — a fan speed controller would've been a nice touch to balance cooling and acoustics, but we're still happy with the design. 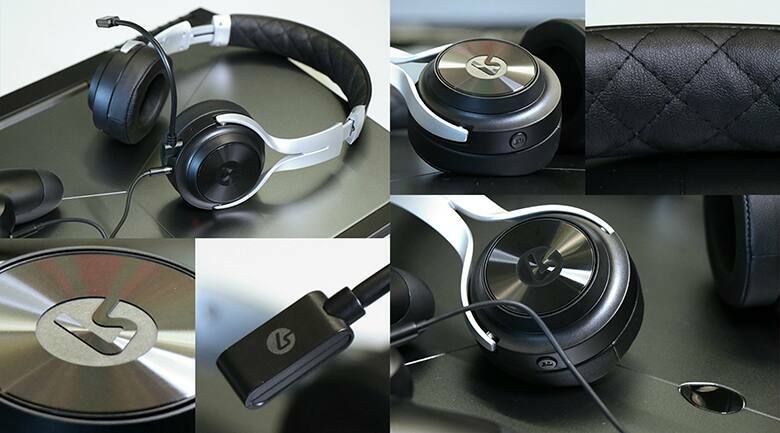 LucidSound has been making a big splash in the world of gaming audio, and it only takes one session with the LS20 Powered Gaming Headset to understand why. This elegantly designed headset is filled with features — volume control, mic monitoring, removable boom mic with mute LED indicator, 40 mm speakers, bass boost, amplified and passive mode, and more. The volume control wheel is integrated with the left ear cup so you don't have to look for or fidget with a small inline control unit, and mic monitoring allows you to hear yourself so you're not shouting into the microphone. Sound quality is excellent, especially with amplification and bass boost, and best of all, the minimalist design and use of premium materials (metal/leatherette/memory foam) means you can take the LS20 on the go as a lifestyle accessory. Listen to music from your smartphone for hours in comfort and style — battery power isn't required for passive operation. Pick one up at popular electronics retailers like Newegg, Best Buy, or Amazon. What do you get when you take premium desktop gaming power and place it in an ultra-portable form-factor? 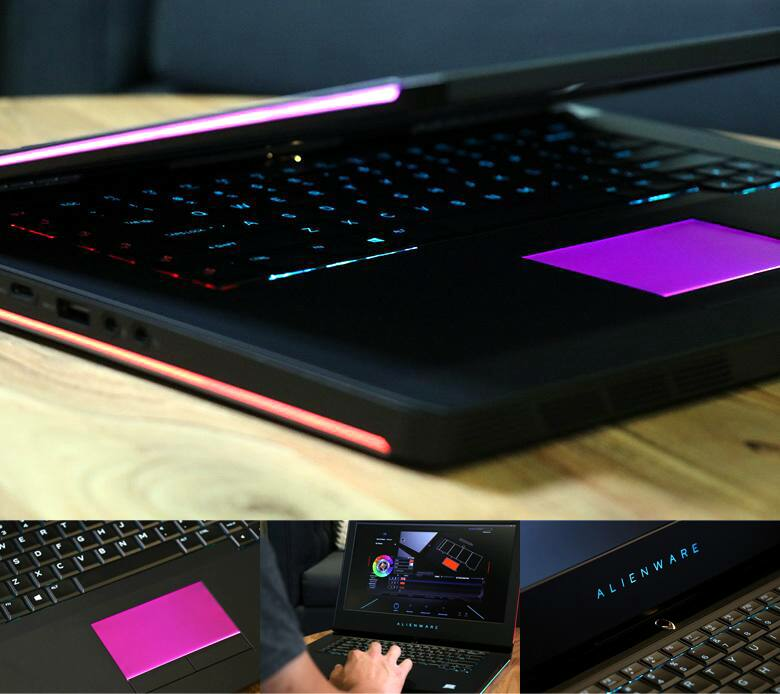 The Alienware 15 R3. This is the first gaming laptop we've ever used that has actually come through on its claims of being an all-in-one gaming machine. With an NVIDIA GeForce GTX 1070 graphics card, an i7 processor, and a G-Sync enabled screen, we've yet to find a game that didn't look amazing on this machine. The AlienFX lighting system also adds a nice touch of personalization that can be customized for each app/game that you're currently running. Go HERE to read our full review of the VR-ready Alienware 15 or visit Dell.com to build one of your own. The brand-new Nyko Clip Grip power is an awesome little peripheral for the Nintendo Switch. At $24.99, it does all the things Nintendo’s Joy-Con Charging Grip does — charge your Joy-Cons while also converting them into a singular controller — for a full $5 less. 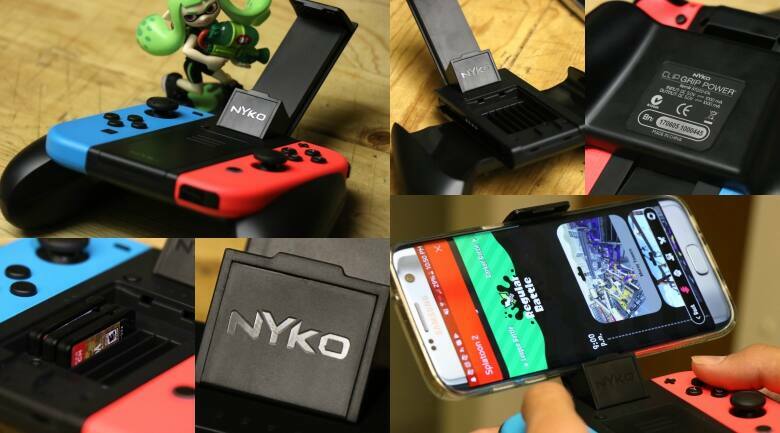 Nyko’s peripheral also packs a couple extra features that make it even more useful than the 1st-party offering, namely the ability to mount your smartphone to it and store your Switch cartridges. Why would you want to mount your smartphone to your controller, you ask? Well, it was actually meant to solve a problem that Nintendo has been unable unwilling to fix for awhile now, making online voice chat a usable experience. Since Nintendo decided to forgo native voice chat for its multiplayer games on the Switch and, instead, made it available only by downloading a separate app on your smartphone, the question became: How can I easily use my Switch controller and my smartphone simultaneously? The Nyko Clip Grip Power is the answer to this question... sort of. Nyko’s product feels great in the hand and, in its standard form, is nearly indistinguishable from a 1st-party Nintendo Controller. It also has room to store up to seven game cartridges and two microSD cards, a feature that I found to be incredibly useful due to the on-the-go nature of the Switch. The controller is well balanced and attaching your smartphone to it does not drastically reduce comfort while playing; however, it does not provide the ideal way of interacting with the Nintendo Switch Online app (by no fault of Nyko). For some unknown reason, Nintendo made it so their app could only be used in portrait mode, rendering the landscape orientation of the Clip Grip Power virtually pointless. The peripheral is still convenient for those who don’t want their smartphone sliding off their lap in the middle of an intense game of Splatoon 2 (#teammarina4lyfe), but having to strain your neck to navigate Nintendo’s portrait-only user interface is quite a pain. Nintendo app aside, Nyko's Clip Grip Power provides a streamlined and integrated experience when using other communication programs like Discord, Skype, FaceTime, etc. We’re hoping Nintendo updates its app to increase usability, but in the meantime, using the Nyko Clip Grip Power and your favorite comms program is a great way to effectively coordinate your splatting efforts. Clip Grip Power for Nintendo Switch is available now at Amazon.com for $24.99. So far, virtual reality has been a solo experience, but that's no longer the case thanks to Five for, creators of Circle of Saviors. This multiplayer VR game features a dual-sword-wielding melee role and a sniper role, and is also fun for spectators to watch. Check out our experience from E3 below!